Pakistan experienced an extended winter due to the ongoing phenomenon of La-Nina though the winter season started late but it caused some record to break in the southern province of Sindh where temperatures reached freezing point in some cities. 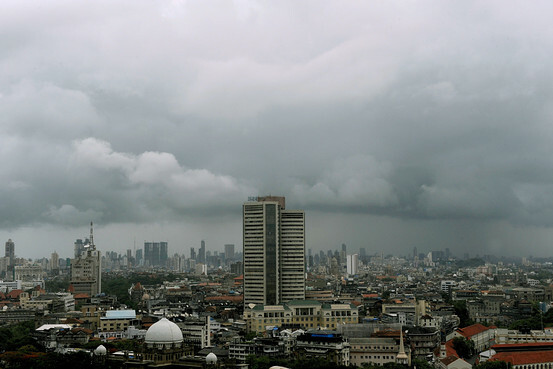 While the winter season is about to end in the country so is La-Nina but weather enthusiasts will not be happy to hear the end of La-Nina as it is considered as a monsoon-friendly pattern that causes heavy level of precipitation across the sub-continent after all monsoon 2012 will start soon after three months. So will La-Nina remain or her brother El-Nino return? Most models show that after March or late April, neutral conditions will emerge but few also show that El-Nino will take place before June. But surprisingly few show that La-Nina will continue for more months to come. Strong La-Nina conditions to remain till June and then weaker La-Nina till September. La-Nina will remain till March after that weakening would occur and eventually neutral ENSO conditions would develop between April and June. This is the forecast of United Kingdom Met Office ENSO Model. The ECMWF ENSO forecast shows that everything will happen meaning La-Nina to stay till late March and then neutral conditions would develop till June. El-Nino would then return in July. Strong La-Nina conditions to remain till June and then weaker La-Nina till September, same as the Australian forecast but then El-Nino conditions would develop. La-Nina to remain till end of 2012. Japanese forecast since last year has been very accurate if somebody was following PWP, we told them that Japanese experts were the first to forecast La-Nina in 2010 and then again in late 2011, so far both their forecast were accurate. What are they forecasting now? According to the Japan Meteorological Agency La Nina to remain till March, neutral ENSO conditions to emerge by the end of April while weak to moderate El Nino by July. What will be during monsoon season? ← Parts of Quetta quivers due to cold! Monsoon 2009 should return for Karachi…….. I h0pe Australian model comes true this time bc0z we aren’t g0nna be lucky again like 2009 if El-Nino comes again.